My goal is to understand your current and future needs in order to plan for your financial health and success. Lawrence is a First Vice President and Wealth Advisor, who enjoys working with families as they grow and change dynamics over the years; in fact, having practiced as a financial advisor for over 25 years, he is now working with the children and grandchildren of his original clients. Lawrence grew up in New Jersey and is an avid New York sports fan. After attending Rutgers University where he earned a B.S. degree, he went on to receive a Master’s of Business Administration from Rutgers School of Business. He worked for Arthur Anderson in New York City for three and half years during which he became a Certified Public Accountant. After meeting his soon to be wife from the same home town, he moved to Maryland in 1979 where he joined the Securities and Exchange Commission, Division of Corporate Finance. He worked there for ten years, during which time he attended the evening program at The University of Maryland School of Law for his last four years. He earned his Juris Doctor in 1989, with honors. As a member of the Maryland and New Jersey State Bar Associations, he worked at the law firm of Venable, Baetjer, and Howard where he specialized in tax and bankruptcy law. Although his experience is helpful to clients, Lawrence does not currently give legal or tax advice. With the financial experience and knowledge Lawrence had developed over the years as a CPA and lawyer, he transitioned in 1991 to Morgan Stanley, as a financial advisor. 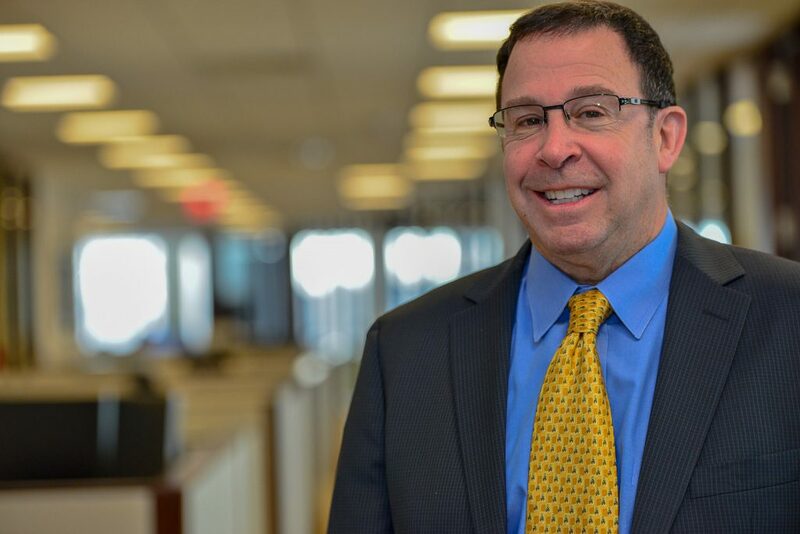 Having experienced three complete market cycles throughout his financial advisory career, Lawrence knows firsthand how to guide clients through challenging how to guide clients through challenging times. Through the lenses of a CPA and attorney, he lends a distinctive perspective to his clients. Lawrence currently lives in Potomac, Maryland with his wife of 38 years. They have two sons who are pursuing careers of their own. In his spare time, Lawrence enjoys playing tennis, exercising and reading. Ready to start a conversation? Contact Lawrence Brachfeld today. 2Morgan Stanley offers a wide array of brokerage and advisory services to its clients, each of which may create a different type of relationship with different obligations to you. Please consult with your Financial Advisor to understand these differences. 4Alternative Investments are speculative and include a high degree of risk. An investor could lose all or a substantial amount of his/her investment. Alternative investments are suitable only for qualified, long-term investors who are willing to forgo liquidity and put capital at risk for an indefinite period of time. 5Annuities are offered in conjunction with Morgan Stanley Smith Barney LLC’s licensed insurance agency affiliates. 6An investment in an exchange-traded fund involves risks similar to those of investing in a broadly based portfolio of equity securities traded on exchange in the relevant securities market, such as market fluctuations caused by such factors as economic and political developments, changes in interest rates and perceived trends in stock prices. The investment return and principal value of ETF investments will fluctuate, so that an investor's ETF shares, if or when sold, may be worth more or less than the original cost. 7Morgan Stanley Smith Barney LLC (“Morgan Stanley”), its affiliates and Morgan Stanley Financial Advisors or Private Wealth Advisors do not provide tax or legal advice. Clients should consult their tax advisor for matters involving taxation and tax planning and their attorney for legal matters. 8Structured Investments are complex and not suitable for all investors, and there is no assurance that a strategy of using structured product for wealth preservation, yield enhancement, and/or interest rate risk hedging will meet its objectives. 9Morgan Stanley Smith Barney LLC is a registered Broker/Dealer, Member SIPC, and not a bank. Where appropriate, Morgan Stanley Smith Barney LLC has entered into arrangements with banks and other third parties to assist in offering certain banking related products and services. 10Morgan Stanley Smith Barney LLC (“Morgan Stanley”), its affiliates and Morgan Stanley Financial Advisors and Private Wealth Advisors do not provide tax or legal advice. Clients should consult their tax advisor for matters involving taxation and tax planning and their attorney for matters involving trust and estate planning, charitable giving, philanthropic planning and other legal matters. 11Morgan Stanley Smith Barney LLC (“Morgan Stanley”), its affiliates and Morgan Stanley Financial Advisors and Private Wealth Advisors do not provide tax or legal advice. Clients should consult their tax advisor for matters involving taxation and tax planning and their attorney for matters involving trust and estate planning and other legal matters. 12Insurance products are offered in conjunction with Morgan Stanley Smith Barney LLC’s licensed insurance agency affiliates. 13Income generated from an investment in a municipal bond is generally exempt from federal income taxes. Some income may be subject to state and local taxes and to the federal alternative minimum tax. Capital gains, if any, are subject to tax.